Updating your Facebook status, sharing your latest thoughts on Twitter, uploading your favourite pics on Instagram? How great would it be if there was a way to actually earn money online with social media? I know, it would be pretty great! There are a few programs out there which allow you to do this, but in this post, I'll be sharing my review of LinkILike...with payment proof! How To Extra Money With LinkILike? Upload2Profit Review – Is This The #1 Way To Profit With Social Media? Have you ever thought about earning an extra income online using social media? There are many different ways one can earn an income online with social media, and now a new product has been released which claims to teach you how to profit with your social media content. In this Upload2Profit review, discover if this product is the #1 way to profit with your Facebook and Youtube content, or if it's just another fluff product with no substance. 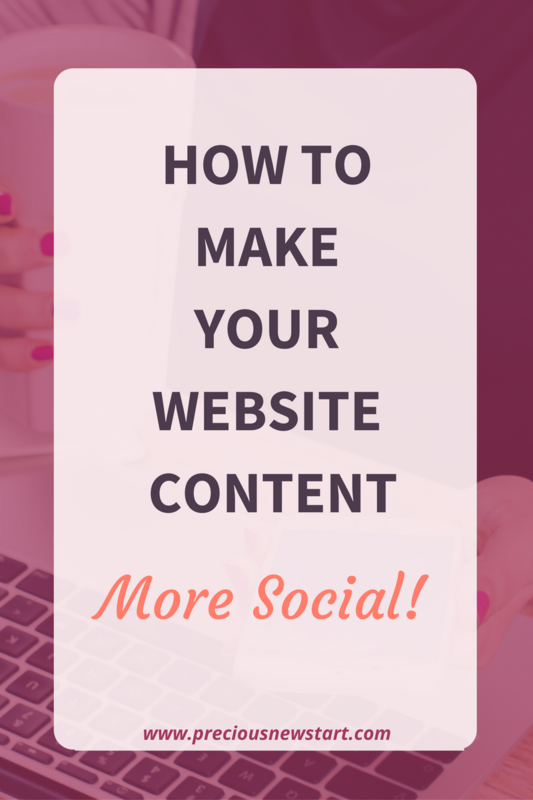 6 Easy Ways To Make Your Website Content More Social! In this day and age social media has become a major part of our lives. 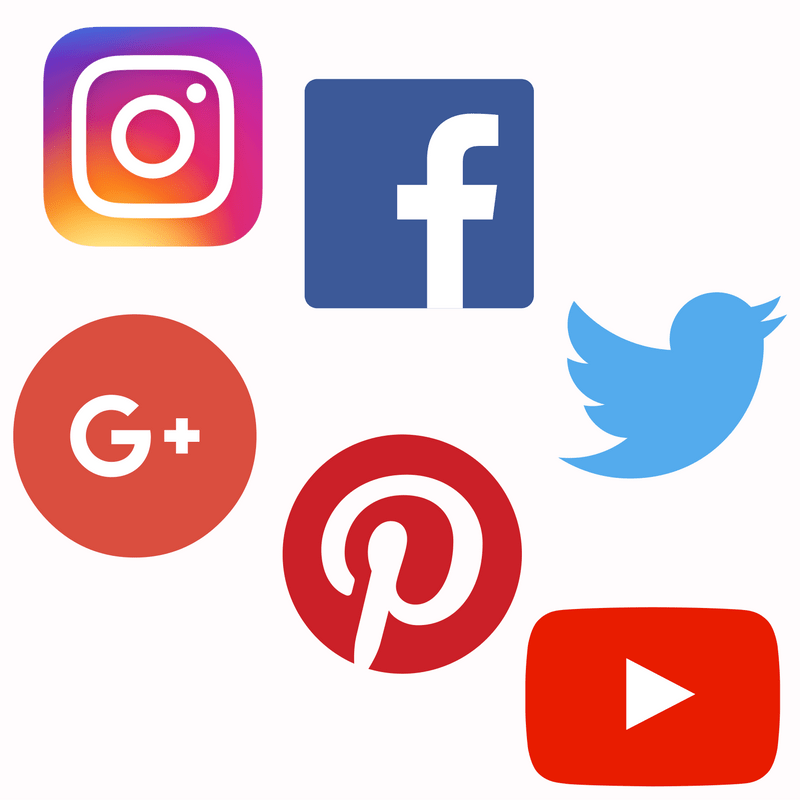 According to brandwatch.com there are 2.3 billion active social media users, and internet users have an average of 5.54 social media accounts. That’s a lot people you could potentially reach with your blog and business using different social media platforms. So, if you haven’t already, now is the time to make your website content more social and help your business grow online. Why is this important for your website and your business? You can share your blog on your social media accounts to increase the traffic coming into your site. One of my top traffic sources is Pinterest, and being more active on that account has had a positive impact. Using social media can be a good way to create instant updates with your followers, and create buzz around your brand. You can interact with like minded individuals and network with other people in your field/niche. You can share ideas and/or maybe even work together. Having a successful blog takes time to build authority, but having active social media accounts with many followers can increase your credibility and lets people see you are someone who knows what they’re talking about. You can learn a lot with the information you come across via social media. Being active on social media means you’re likely to stay up-to-date about things happening within your niche. So now that you’ve understood why social media is important, it’s time to know how to actually make your site more social. If you’re not sure how to do this, don’t worry as I’m about to share with you 6 easy ways to make your website content more social and easier for your readers to share your content. First and foremost, you need to create quality content if you ever what it to get shared. Give your readers an article that’s worth sharing. Don’t forget to also make it relevant and readable. Also, it’s important to keep your site content updated regularly and provide your readers with helpful information. That’s what I always aim to do with every post I create. Using social plugins makes sharing your content much easier for your readers. I’ve seen many websites online that don’t make use of social plugins, and it puts me off sharing because there’s no easy method to do so. Most people visiting your site won’t have the time to copy your website link and manually input into their social media, therefore you need an easily accessible plugin to make your content more shareable. I usually like to place the social sharing buttons at the bottom of my post, and you’ll see the same buttons below this post. You can also use the Click to tweet plugin for the same purpose. Whichever plugin you choose will depend on personal choice. One thing I highly encourage is letting your readers connect with you via social media. The best way to do this is to link your social media accounts to your theme and have them appear on your site. If someone really likes your blog/website then they’ll be more likely to follow you on social media as well. As you can see from the screenshots below, I have links to my Facebook, Twitter, Pinterest, Instagram and Youtube channels around my site as I like to make it easy for people to be able to follow and interact with me on social media. You can add widgets to your site that will further allow users to connect with you on social media, and show users your latest social media posts. It’s also a really good way to show your readers what to expect when they join you on your social media platforms. Some examples include adding a Pinterest board to showcase your latest pins, or a twitter widget to display your latest tweets. To get more shares and comments you can kindly ask your readers to do so. Encourage your readers to engage and interact with you further and always try to respond when you can. I usually just leave a little message asking readers to comment by sharing their experiences of a product/program, or any questions they might have. On that note, I hope you found my article on 6 ways to make your website content more social useful. If so, please feel free to share, and if you have any questions don’t hesitate to comment in the section below. Have you implemented any of these methods onto your blog/website? Do you have a favourite tip? Is there an important tip that I left out? Feel free to share your experiences and comments below.